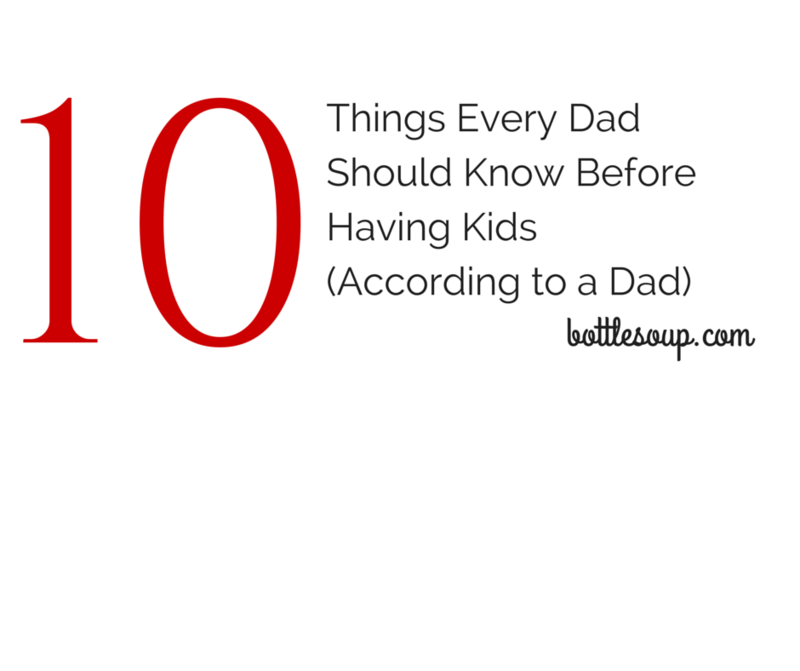 Tonight’s guest post is from Mr. Bottlesoup, dad of 2 little people and recovering sports fan. Mr. Bottlesoup holds a B.A. in Psychology/Biological Anthropology from Penn State’s Schreyer Honors College, a M.S. in Sports Business from New York University, and is currently a stand up comic and podcaster (not a joke). People will attempt to shame you. Family members, friends, neighbors, and coworkers will be quick to judge your parenting. No matter what you do someone heard from someone else that you shouldn’t do it. For example people will try to convince you that everything gives your child Autism, from cartoons to vaccinations to high fructose corn syrup. Guess what, I have a college degree in psychology from a prestigious university, and although science hasn’t completely figured Autism out, it is clear that vaccines are entirely safe, cartoons might interest your baby or toddler but won’t rot their brain, and yes, even HFCS is harmless in moderation. As long as you consult with your pediatrician on the big things, and consult reputable sources (I recommend Mayo Clinic), the little things aren’t going to harm your child. Get used to messes. I don’t care how organized you are, you will see laundry stack up, trash overflow, dishes piling in the sink, etc. When my wife and I left for the hospital to have our son, the apartment was absolutely immaculate, by the time he was two weeks old, it has been teetering between cluttered to complete disaster. First you have all the extra “stuff” like diapers, bottles, a crib, a swing, et al. Then as they start crawling and walking you have toys, a high chair, all of their clothes, and most disturbing of all, you are constantly playing “keep away” with dangerous and important things. Toddlers can completely wreck your precious (insert man thing here) collection in less time that it takes to log into fantasy football. My advice is to throw away or sell anything you can part with, make room in your living space, and in your storage. Unless a piece of furniture or decoration is absolutely essential you need the room. Also, eliminate any furniture that can be easily climbed on, and mount your TVs on the wall, and run ALL the cables in the wall, either to components on high wall mounted shelves, or into a HEAVY piece of furniture that you can lock. Say goodbye to sports. I have worked in sports, and have an advanced degree in Sports Business, and I haven’t watched a baseball game in its entirety since 2012. I catch a quarter of a basketball game sometimes when my son is dozing off at night, but following sports the way I used to? It is nearly impossible. Not only do you want to spend your free time with your kids, when the TV is actually ON in the room, 99% of the time it is children’s programming. Your best bet to get your sports fix is to listen to sports radio or a sports podcast if you are commuting to work, or doing something like laundry folding, where you can zone out and listen to all the recent news. Also, playing in a “for fun” fantasy league each season will keep you connected to your favorite team and really only needs fifteen minutes a day to satisfy your commitment. Keep the boxes for AT LEAST 90 days. Buying a stroller can cost hundreds if not thousands of dollars. My wife already covered the double stroller advice (here) however, if something goes wrong, you need to return the item or have to ship it to the company to be replaced it really helps to have the box. Also, having the packaging can greatly increase resale value if you want to unload an item on craigslist or eBay. Of course, having an accordion folder with all your receipts in it makes returning an item, like a broken toy you need immediately replaced (yes, most stores will take them back within 90 days) if you have the packaging and receipt. If you have a LOT of storage space, you can sell the packaging of older toys to “collectors”; however, if you think those boxes are going to finance your kid’s college tuition, you might as well just throw them all in the dumpster and use the space for more important things, like your old baseball card collection you thought would be valuable by now. Good luck getting on a schedule. Many people will tell you this is the number one thing you MUST do, if you ever want sleep. I’ll tell you what I heard on the first day of boot camp when I was 18 years old, “sleep is a luxury you can’t afford.” Just kiss it goodbye. Your little baby will absolutely rule your life, they cry when they feel like it, and do not care about your schedule. Toddlers sleep when they want, and it is nearly impossible to wake them, but if they don’t want to be asleep, they will certainly wake you. If you are successful in implementing a schedule, and have success, congratulations, but I’m warning you now, it won’t last. That schedule is just a phase, and your child will have a LOT of phases as he or she develops. You will become a chick magnet. Remember that friend in college who used to tell girls his mom died, or that he was joining the Marines, to get sympathy? Remember when that same friend was hanging out with puppies at the dog park a few years later? Guess what, your friend was a genius. And hanging out in public with a baby is like having a basket of puppies and a backpack of kittens at an animal rights rally. Babies are the one accessory that makes women flock to you. My advice is to simply ignore it. Unless you’re a single dad and looking to hook up, the flirting you are experiencing doesn’t deserve to be addressed, and quite frankly, that cute little baby will have you so sleep deprived, you will probably no sell every weird lady who stalks you and your munchkin all over Whole Foods anyway. Be prepared to do a LOT of laundry. Your baby-toddler will make a lot of messes. Leaky diapers, messy meals, you name it. Your children will get everything all over themselves, the furniture the sheets and YOU. I like to cover the upholstered couch with bed sheets that can be washed. Microfiber works well for all sorts of accidents like vomiting or spilled (or thrown by toddler hands) food. When it comes to the bed, even though your little one will have their own crib or bed, they will still be spending time with you snuggling in your bed. I recommend having four matching sets of white sheets, and white sheets for the crib. You may ask why you need so many sets, well, if one set is waiting to go to laundry, and you have two accidents in the same night (kids get sick) you’ll be down to your last set. You DON’T ever want to be down to your last set of sheets with a baby or toddler, you’ll find yourself walking to a convenience store for a bottle of bleach at 2AM. If you ask “why white?” I agree it is counterintuitive to have white sheets that show EVERYTHING, however, that is exactly what you want. Was your toddler sweating in your bed or peeing? And most importantly, whites can EASILY be bleached. Invest in three or four good mattress covers, because accidents seep through, and put some accident pads under your sheets, so you don’t have to change the mattress cover after ever accident. Bleaching the sheets in COLD water will avoid yellowing, and make sure to use a “free and clear” detergent (way cheaper than gimmicky baby detergent like Dreft, and chemically they are the same thing). I have sensitive skin, as does my son, and any generic “free and clear” will do just fine. I find All Liquid Laundry Detergent, Free & Clear to be the most reasonable. Your relationship with your child is a brand new relationship. Growing up without my father, and now having a son of my own has opened my eyes to the many things I missed in my childhood, and how there are things I don’t instinctively know how to do. I don’t really know how to relate emotionally to my son, and I am learning as I go. However, even if you were lucky enough to have a dad, your relationship with your son is NOT your relationship with your dad. The same rules DO NOT apply you need to make up new rules, how you see fit, and how your son reacts to you. This child is not your friend, your niece or nephew, the kid you coach at a sports team or any other relationship you have had with a kid. This is your child, and you owe it to yourself and them to establish your own relationship. Your child is not an extension of you, your ego or your narcissism. Do you like sports? Your child might not. Do you root for the Giants? Your kid might become a Jets fan. Are you a lifelong Yankee fan? Your daughter may fall in love with a player on the Mets and beg you to take her to Citi Field. Guess what? It’s their decision. Go ahead and dress them up in whatever you want while they are little, but they will eventually decide what they like. And if your kid DOES like whatever you are into, whether it be basketball, science, NASCAR, UFC, Jazz Music, Piano playing or a dozen other things, it doesn’t mean it is time to live vicariously through them. If your child likes videogames, you might want to go out and buy them every classic game you loved (or never could afford in my case) as a kid, and your child may want to play Angry Birds on an iPad instead. If you’re a Nobel Prize winning physicist your child might want to become a cosmologist to spite you. If your son likes playing first base in Little League, and you wished you had just tried a little harder and gotten a college scholarship, it isn’t time to force that dream on him. If you wished you had learned to play guitar like Eddie Van Halen, and want to buy your child a guitar, fine. Be supportive, tell him how great Van Halen is, but if he decides he wants to switch to trumpet because he thinks it is cool, maybe he will be the next Miles Davis, maybe he won’t. Don’t sweat it, and just enjoy spending time with him and sharing HIS interests. He will remember that when you are gone, and if he has kids of his own, he will (most likely) pay it forward. Take a deep breath and relax. Enjoy the time you have with this little baby or toddler. They grow fast, and the older you get, the faster time passes (this is a scientific fact, because the human brain becomes more efficient with age). You will inevitably look at a photo from a year earlier and think, “Remember when he/she was that small?” Take a lot of photos, but don’t live with the camera pulled out. Experiencing things in the moment without worrying about getting the perfect selfie can be just as rewarding as spamming your friends Facebook walls with photos of your kids (yeah you are going to be THOSE people soon).